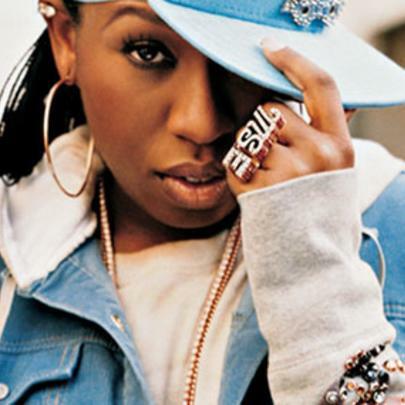 Missy Elliot requires little introduction - the emcee, singer, songwriter, prouder and actress remains one of the most respected artists in the fields of Hip-Hop and R&B to this day. Since stepping foot in the game in 1991, the five-time GRAMMY award winner has gone on to release six platinum-certified studio albums and a compilation, having collaborated with the likes of Timbaland, Jodeci, Craig Mack, Aaliyah, Ginuwine, Monica, Janet Jackson, MC Lyte, Lil' Kim, Busta Rhymes, Whitney Houston, Foxy Brown, Destiny's Child, Q-Tip, Noreaga, Mariah Carey, Da Brat, Jermaine Dupri, Prodigy, Trick Daddy, Ja Rule, Garbage, Mick Jagger and countless others throughout her career thus far. Most recently, she appeared on Eve's 2013 album Lip Lock (on "Wanna Be"), as well as 2013 singles from Little Mix ("How Ya Doin'?") and K-pop artist G-Dragon ("NiLiria"). Also, she's nominated for a GRAMMY at the 56th Annual GRAMMY Awards for the single "Without Me" with Kelly Rowland and Fantasia, and is contributing to Faith Evans' upcoming sixth studio album Incomparable. Stay tuned. Missy owns a mansion in Virginia Beach, Virginia. She considers Bjork a major inspiration. She was a part of the DeVante DeGrate production teams alongside with Timbaland and Ginuwine. Missy used to write her lyrics on her bedroom walls. She's made a conscious effort to reduce her high blood pressure and lose weight since her mother suffered a near-fatal heart attack.